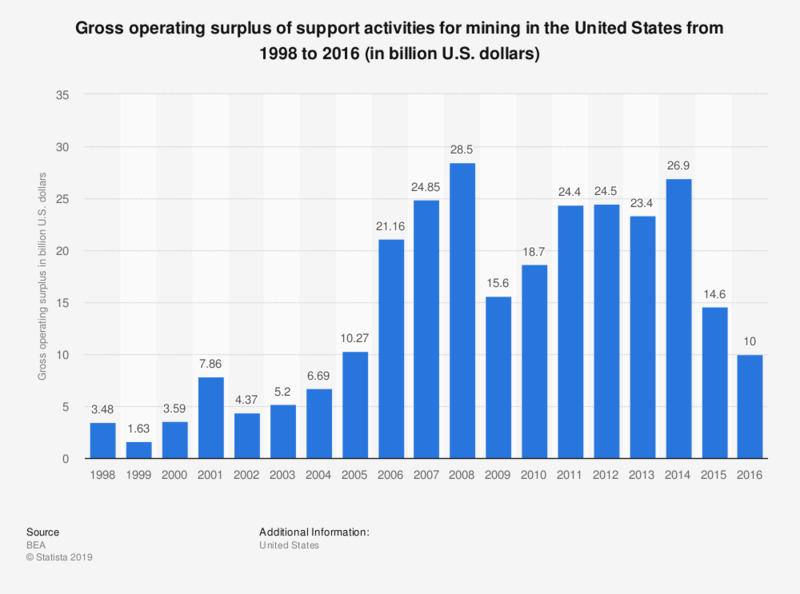 This statistic shows the gross operating surplus of support activities for mining in the United States from 1998 to 2016. In 2016, the gross operating surplus of this sector came to10 billion U.S. dollars. Mining support activities include services that are required for the mining and quarrying of minerals and for the extraction of oil and gas. Establishments performing exploration of minerals are also included, which means taking core samples and making geological observations at prospective sites. Figures for 2014 and 2015 was restated in the 2017 edition of the report. All data was revised under the 2014 Comprehensive Revision of the Industry Economic Accounts.